You know that future everyone keeps talking about, the one with powerful AI, reusable space rockets and flying cars. Well, it’s sort of happening. We have intelligent speakers that can tell us the weather, new rockets launching and (mostly) coming back to earth and in China, manned tests of passenger drones are taking place. So while some may be disappointed that moon bases and flying cars aren’t commonplace already, we are finding that the future has a habit of slowly creeping up on us, without us noticing. At CES 2018 recently we saw the Byton car (also, from China), one of many autonomous car prototypes that caught our eye with its large single display presenting the driver with a wealth of information and entertainment (infotainment, if you will), at his fingertips, while the car drives itself to the meeting. Imagination’s IP is a great fit for this type of scenario and indeed, the automotive experts at Denso of Japan, have already announced a strategic agreement to collaborate on vehicle processors, and to that end, they have already licensed our PowerVR Series8XT GT8525 GPU. First released in April last year the PowerVR GT8525 features two clusters within a single Scalable Processing Unit. Based on the Furian architecture it’s a great solution for premium mobile devices and automotive thanks to its highly efficient designed, optimised to deliver superb performance within very tight power budgets. Now, it’s been joined by the PowerVR GT8540, a four cluster variant, and, as well as very high end smartphones and tablets, it’s aimed at the automotive segment. Here then are five reasons why it’s such a great fit for that market, and how it can help ensure automotive OEMs make that bold future edges ever closer. Most people understand that our smartphones aren’t really phones, they’re fully fledged computers that we carry around in our pockets, much more capable than the audio-only communicators that the Star Trek writers dreamed up in the 60s. That same level of progress is now taking place to the car. It’s becoming a bona fide connected, computing gateway through which services can be delivered directly to the consumer. These include audio and video streaming, and capabilities such as a ‘find-me-a-parking space’ service to which the car will drive itself. How this ecosystem will grow will be up to market forces, but it can only happen if the platform is secure. In terms of security, the car will need to be better protected than desktop computers are today; crashing in autonomous cars is an entirely different prospect. PowerVR’s unique full hardware virtualisation will be a game-changer here. The Series8XT supports up to eight virtual machines and has prioritisation mechanisms in place to guarantee performance for high priority tasks and to protect against DoS attacks, so automotive companies can feel secure in deploying these services. For the full low-down on PowerVR hardware virtualisation. As with our smartphones, displays in cars are getting larger and larger, and as I mentioned above, vehicles like the Byton are taking this to the next level. Once autonomous cars are here, the car will be a cinema on wheels, ready for work or entertainment purposes. With the performance to drive up to six 4K screens with complex UIs at once, thanks to a very useful 80% increase in fill-rate density over previous generations the PowerVR GT8540 is a suited GPU to make this a reality. What do we mean by workload flexibility? This contains two aspects. The Series8XT now offers finer-grain ‘context-switching’ than before, meaning that it is able to schedule graphics tasks with very high efficiency. This means it can offer task prioritisation based on fast context-switching, while still maximising the utilisation of the GPU, in other words, ensuring that all available performance is put to use. A real world scenario would be the ability to drive a dashboard cluster at a steady 60fps, and rear-seat entertainment, such as a music streaming interface and a 3D game, all at the same time. The second aspect of this flexibility refers to the fact that thanks to the four cluster GT8540 containing two scalable processing units (SPUs) it is capable of running the graphics applications described above on one SPU while running ADAS-assist functions entirely independently on the second SPU, entirely uninterrupted. So thanks to this workload flexibility you can have a dashboard cluster at 60fps, a video or audio music streaming service, a 3D game, and ADAS assist functions, all running off a single GPU at the same time. Over the past decade as mechanical components in cars have been replaced with electrical ones the strain on the main battery has increased dramatically. In addition, infotainment and driver-assist systems are also increasing the demand for more onboard power. As cars, therefore, start to become mobile computing platforms power efficiency is moving higher up the priority tree. This is especially true in all-electric vehicles, where the more power that can be delivered to the motors rather than the computers, the better the range will be. Furthermore, to support this increase in informational displays and ADAS functions manufacturers are requiring ever more powerful GPUs. These need to run cool, as excess heat equates to wasted energy, which could cause the GPU to throttle performance down, leading to a worse experience for user interfaces. PowerVR Series8XT caters for this thanks to its design ethos, which is to maximise performance per milliwatt with systems that do not require water-cooling or other cooling methods that reduce space. This makes it a perfect fit for automotive manufacturers looking to increase graphics and compute performance in their cars as efficiently as possible. Where once it was seatbelts and ABS, these days new vehicles now feature ever more Advanced Driver Assistance Systems. Adaptive cruise control, automatic braking, speed adaptive cruise control and lane departure systems are just some of the typical examples. In terms of autonomous driving, these are Level one and two features. Level’s three to five require much more sophisticated systems to enable self-driving. In automotive, electronic components are required to be ‘functionally safe’; that is guaranteed to operate safely even in the event of component failure. The industry standard for this is ISO 26262, which sets the framework for the development and assessment of integrated technology for safety in the automotive supply chain and in 2018 the ISO 26262 standard will be updated to include Part 11, covering semiconductor IP. The standard defines the Automotive Safety Integrity Level (ASIL), ranging from A to D, with D the most stringent. 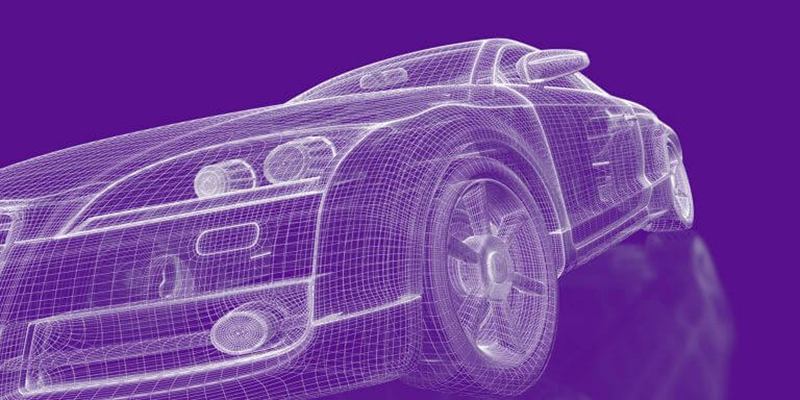 Imagination has a long history of working with key players in the automotive industry and already has advanced GPU IP out in the market in ASIL-certified devices. Therefore, by working with Imagination, car OEMs looking to select GPU IP for their automotive SoCs can be confident of meeting the stringent requirements of the ASIL levels for ISO 26262-compliance in a timely and efficient manner.